Two New Products that have helped CHANGE my skin. Hey everyone! So there are definitely some beauty product changes happening in my every day routine. And most of them, are focused on me investing and giving me what my skin deserves. Like many of you might know, even though I was diagnosed with celiac disease about 5 years ago, it’s still affecting me today. And because of that, it’s really been targeting my skin! So, a few weeks ago, (like you may have seen in my vlog). Krysteeana took me to a Mary Kay event! It was super fun and my skin felt amazing after it! However, around that time I had noticed my friend (and only person I trust my face with) Emily Mosby doing some research about just how many horrible ingredients still live in our everyday makeup + skin care items. Now not knowing at the time I tried my best to ask questions at the Mary Kay event about their ingredients but really didn’t look to much into it. I knew they were better for your skin than drug store makeup, but it’s hard to be as clean as the new products I’ve been loving. SO, I ended up getting the two products below, and I’ve been super happy with what they’ve given me. My skin is breaking out less, and the total coverage from these products is a WIN. I’ve ALWAYS had dark circles from as long as I can remember (trying to now take better care of my under eyes thanks to Emily) but this product totally helped me not look so exhausted and stress in the morning which is what I have been feeling. 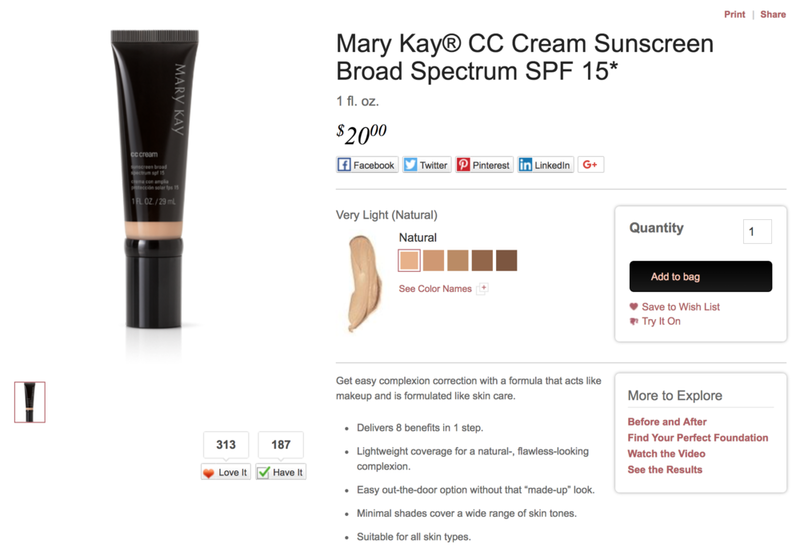 When I initially tried the CC cream I KNEW I wanted to get it for it’s coverage and it’s consistency, and made the purchase because of the SPF 15. Now, after using these products for about a month, I LOVE THEM. But I was still concerned with their ingredients. And from learning more about ingredients on our products, I realized that if something has a smell, it probably has a fragrance, which means it could be masking ALOT of ingredients that may be damaging. Not to say I didn’t like the smell, but it definitely got me thinking more along the lines of clean products. Emily is now a consultant for beauty counter, so I definitely wanted to learn more about just how clean their products were. It’s hard even with skin care watching out for hidden gluten or other things that can affect my sensitive skin. Which is why I was super excited to attending Emily’s beauty counter social recently and learn all about the products and even more about taking care of our skin. I’ll write more about Beauty Counter in my next post, but for anyone looking to start on a cleaner skin care routine I want to document and share my journey to help others struggling like myself.